The vision of Liberty High School is to connect students, through the use of technology and personalized learning, with a rigorous and relevant curriculum and/or career preparation program. The mission of Liberty High School is to incorporate rigorous and relevant instruction while establishing meaningful connections with our students. Liberty is a tobacco free campus. No animals are permitted on campus. Summer school session applications are now available in the school counseling office. Pre-register for courses between April 8 and May 24, 2019. We have partnered with the LMS PTA and Liberty High School to provide an opportunity for our students and the community. On April 3, 2019, our students will view a 47-minute film called Screenagers during the school day and on April 9, 2019, at 6:00 pm we are going to show the same film in an extended version to the community. A letter was sent home to all students March 4th and a copy is available here that provides more information about this event. 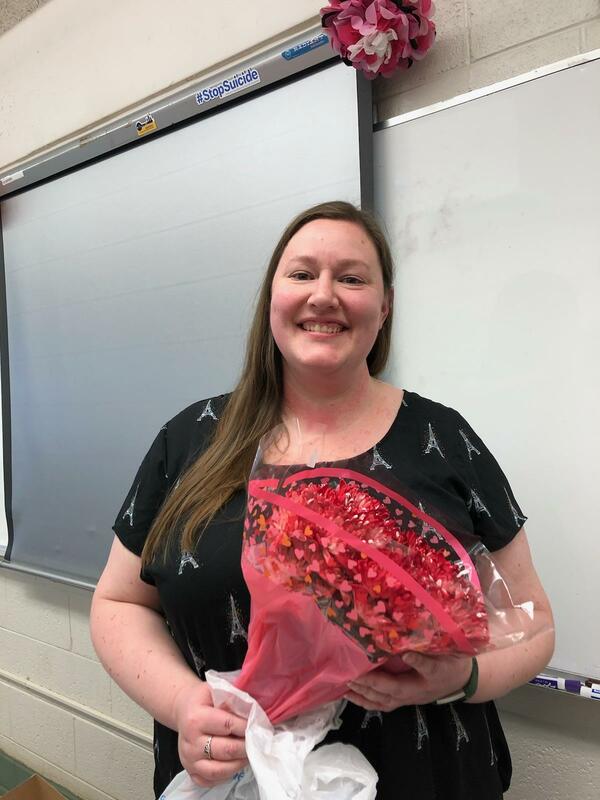 Congratulations to Liberty High School's Teacher of the Year, Jeannette Ogilvie! Ms. Ogilvie has taught at Liberty High School for the last ten years, after teaching at Jefferson Forest for three years. Over the years, she has taught Spanish from level 1 all the way to Advanced Placement. She has also taught Mythology, an English elective, for several years. Ms. Ogilvie has been the advisor for Key Club for the last four years. In this time, club membership has doubled, and the club has won awards for their service projects at both the regional and international levels. Ms. Ogilvie serves as the department chair for Foreign Language and frequently assists with other school activities such as theater and forensics. Liberty High School is excited to announce that Wanda Goff has been chosen as their Support Staff of the Year. Mrs. Goff began her career at LHS in 1970 as the third secretary of LHS. She is an essential part of our staff and helps things to run smoothly at LHS. Today she serves as Liberty's office manager and secretary to the principal. Not many schools are lucky enough to have a member on staff who has been at the school for almost fifty years! Congratulations Mrs. Goff! March 15th will now be a regular school day. Congratulations to the super seniors for March- Brooke Cloninger, Mikayla Fowlkes, and Paige Naples. These seniors, who were nominated by their teachers, will receive free pizza from Domino's of Bedford. March's students-of-the-month are 9th grade Bailey Dills; 10th grade Sierra Mason; 11th grade Shayleigh Cire. These students are being honored by Domino's. Click on the picture below to order your Yearbook now! Online Meal Payment System Available! MySchoolBucks® is your online payment portal; giving you a quick and easy way to manage and add funds to your student’s meal account. You can review recent purchases along with seeing the current balance, plus receive low balance alerts... all for FREE! You can also add money to your student’s account using Visa, MasterCard, Discover Card, American Express or debit cards for a small service fee of $2.50 per transaction. More information and details can be found in this document. Have you ever wanted to receive text reminders with announcements concerning LHS? Now you can! Click HERE to sign up! More information is on the Daily Announcements page. All JV and Varsity regular season games are $6.00. All BTeam/JV Football double-headers are $6.00. All BTeam single games are $4.00. All BTeam double headers are $5.00.